Map out a health plan that works for you: Create a visual guide that details your goals. For instance, what aspects of health do you want to focus on each month? Which area of health are you going to work on first? You may device to focus on nutrition until proficient in this area and after place attention on another health goal. Creating an outline allows for better monitoring of health progress. It also provides insight into areas requiring more focus. Begin gradually: Transitioning into a lifestyle changes requires time and adjustment. Be caring with yourself allowing time for new healthy habits to develop. For instance, exercise at a low intensity and gradually increase as your body adapts to physical activity. Accommodate exercise to a pace that’s right for you, and consult with your physician before starting an exercise regimen. Eat nutritious foods: Nutrition is an essential part of healthy living. The foods we consume largely influence our wellbeing. There are various diet plans depending on your preference and health needs. Choose a meal plans that accommodates your lifestyle and food preferences. Be sure to notify your physician before changing or starting a new meal plan. Stay active: Physical activity is important for cardiovascular health and wellbeing. According to the Centers for Disease Control and Prevention (CDC) physical activity helps decrease blood pressure and improve cholesterol levels. The CDC goes on to mention how regular physical activity also helps with mental health and mood. Nurture your soul: Part of healthy living is doing things that bring joy and fulfilment. Make time for activities that create a sense of purpose and happiness in your life. Embrace change: If your health plan is not meeting intended goals explore different options. Some people prefer going to the gym, while others enjoy exercising outdoors. Experiment with new recipes and try different recreational activities. A few changes in your health plan can bring about positive outcomes. Evaluate your progress. Are you adhering to healthy lifestyle choices? 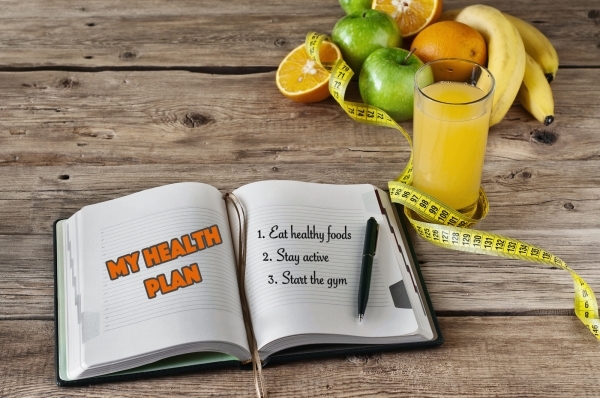 If your goals aren’t being met, can you modify the plan for optimal health results? Nutritionists and physicians can assist in creating health plans that are suitable for your lifestyle and health needs.